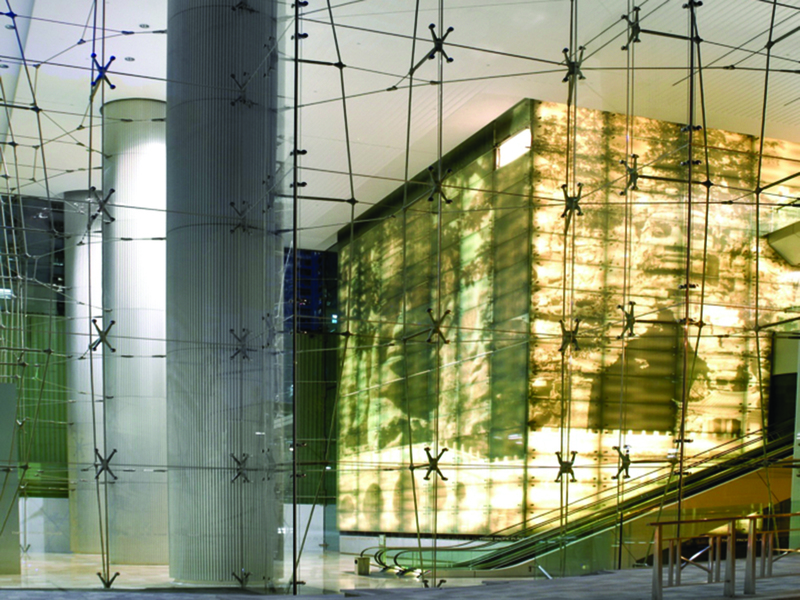 HDA TEAM : Hugh Dutton, Frédéric Bindji Odzili, Carla Zaccheddu, Cathy Shortle. 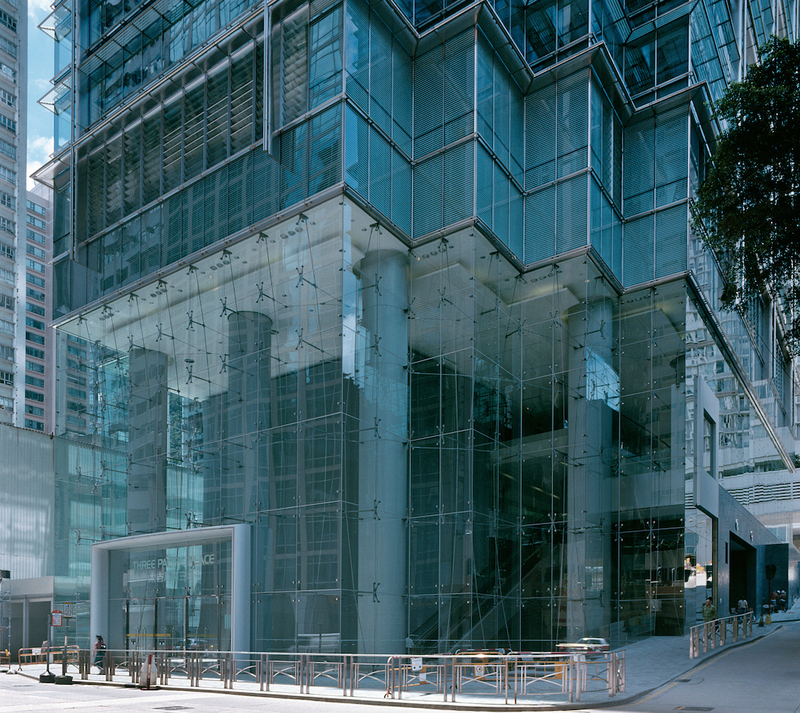 Pacific Place Three, a 40-storey office tower for Swire Properties, is located on the frontier between the central business district and the popular Wan Chai community. 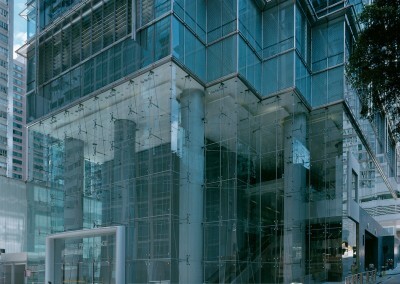 The podium at the base of the tower is characterized by openness and transparency, which allows the tower to integrate with the smaller scale of the surrounding context. 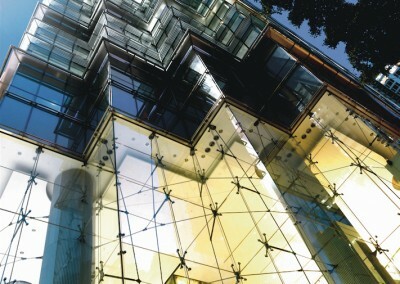 Nevertheless, high-quality innovation was required, in keeping with the prestige of this Grade-A office tower. 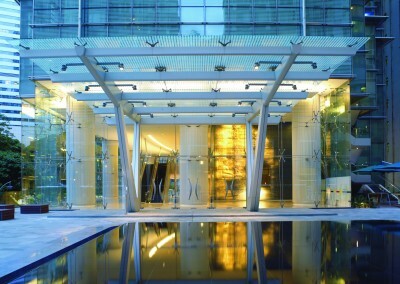 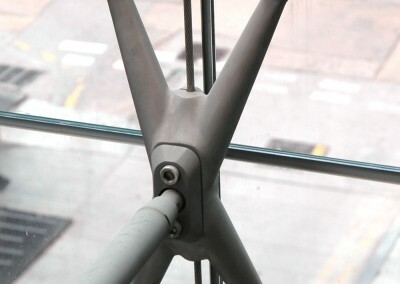 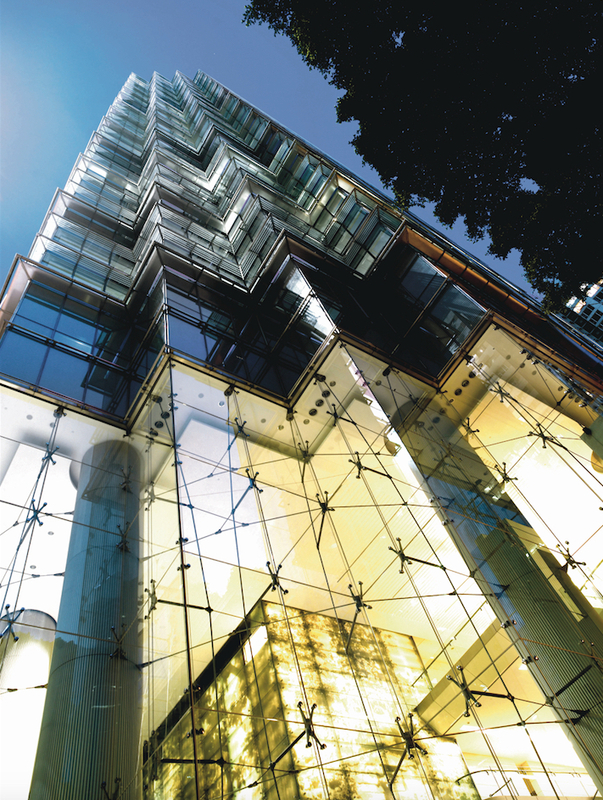 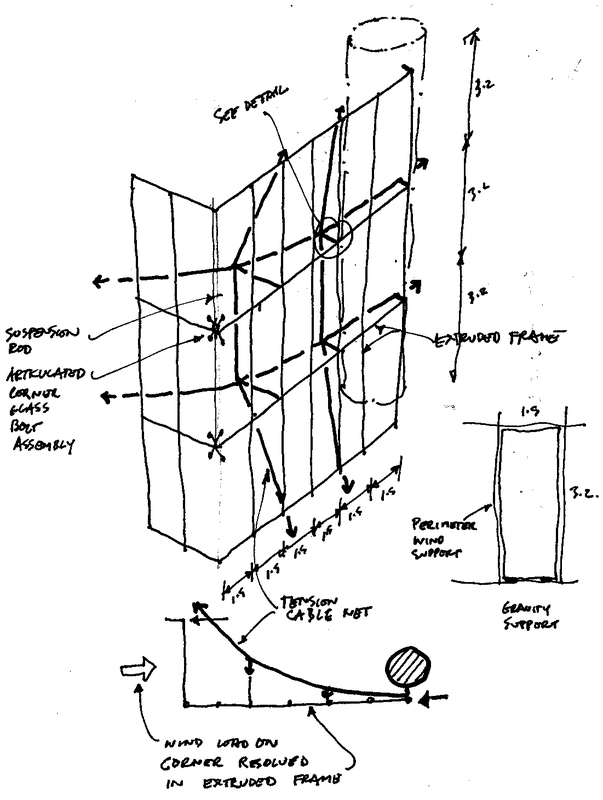 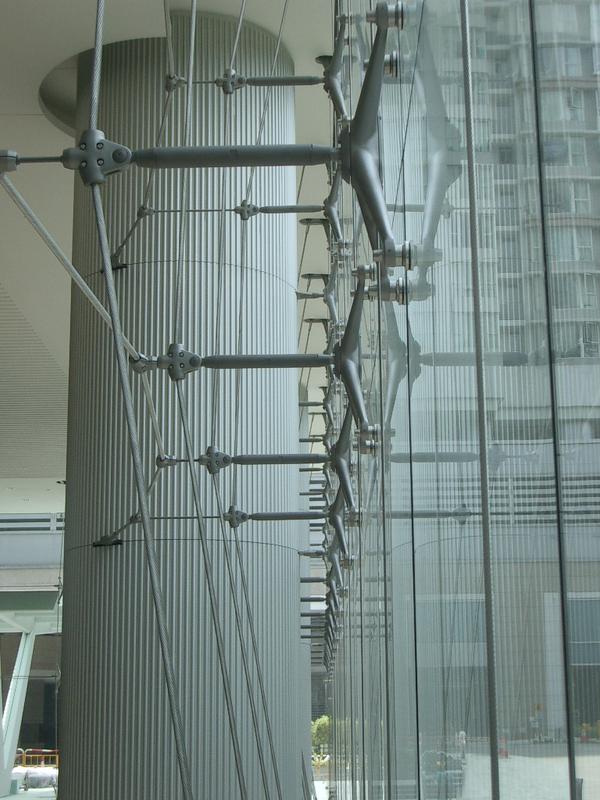 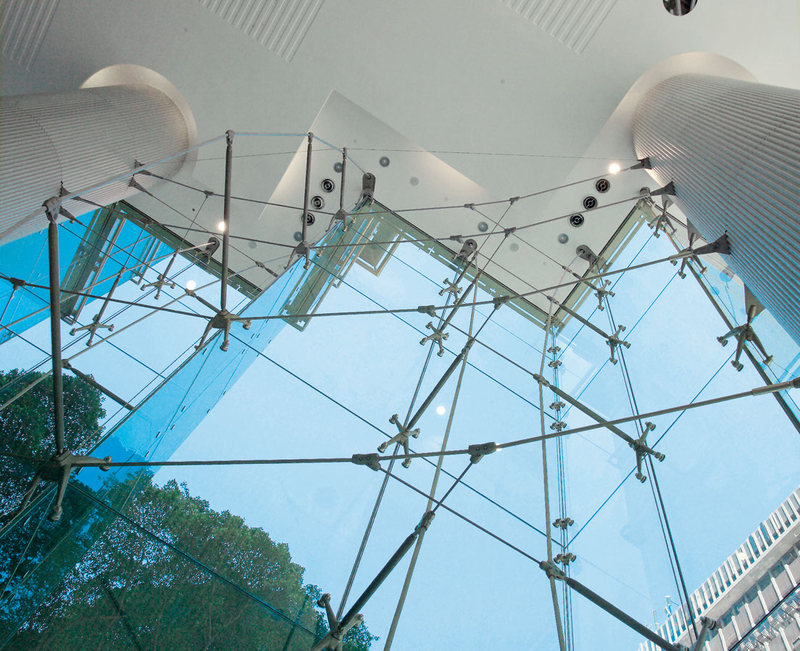 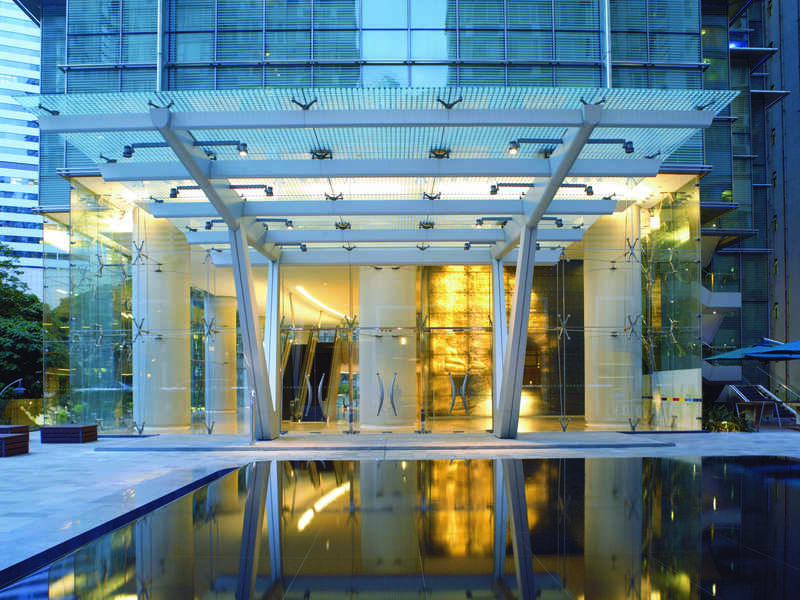 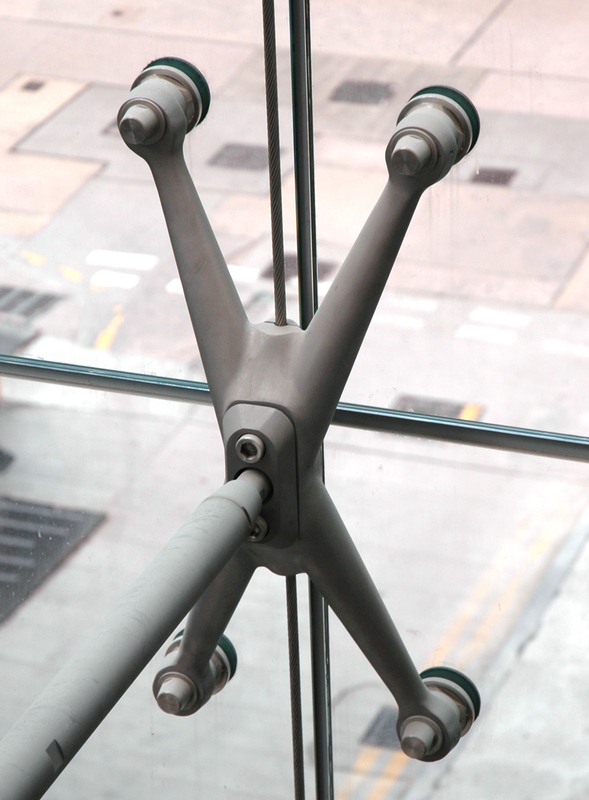 HDA was engaged by Swire Properties to develop options for the typical facades, and invent the design concept and geometry for the podium glazing. 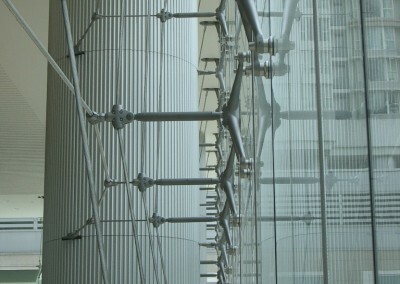 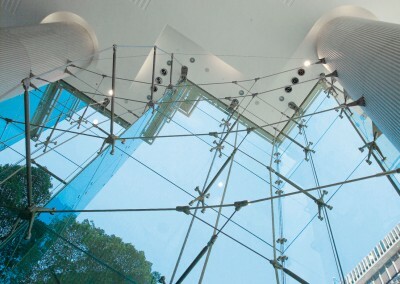 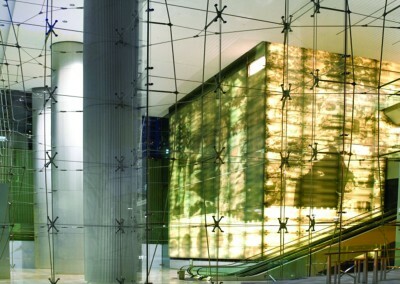 The office facades were designed in high performance glass with combined solar protection and low-e coating, whilst the entrance podium facade became a 3D cable net making use of point-fixed glass.